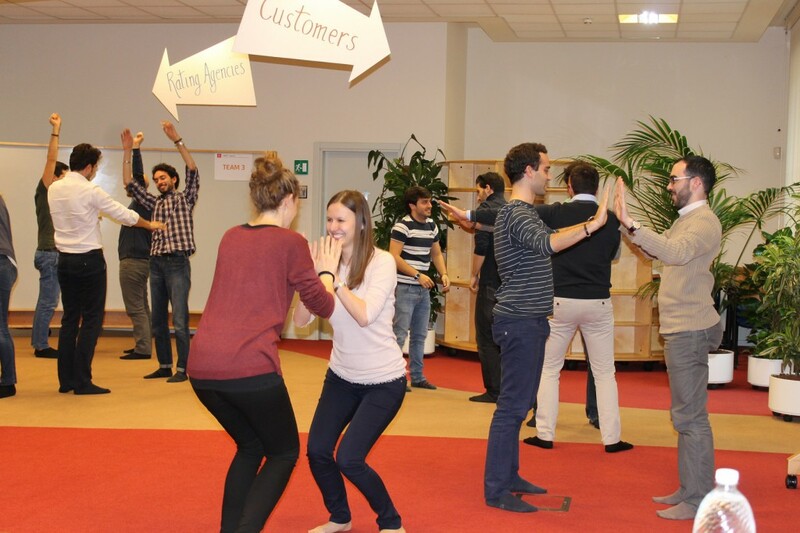 The training through the social and community theatre methodology of the SCT Centre|Unito has taught cross skills such as communication, cooperation, management of the unexpected, narration and effective self-introduction. 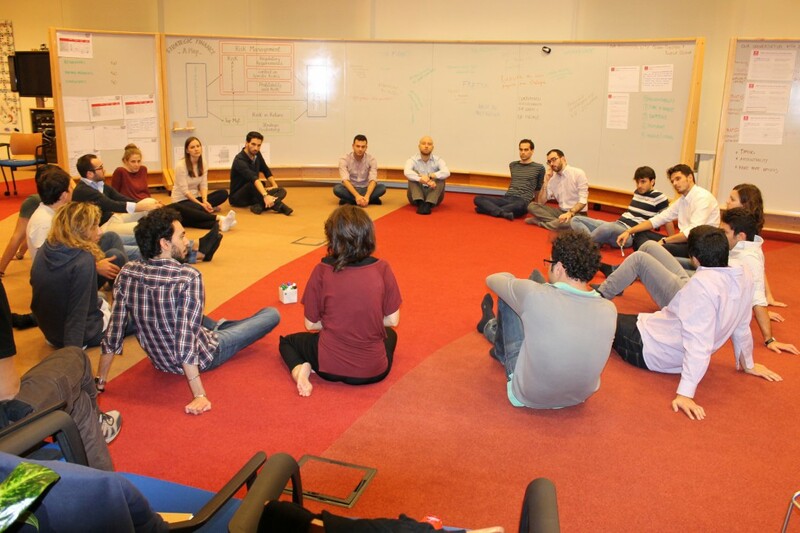 These skills were at the basis of several capacity building and team building courses. The training through the social and community theatre methodology of the SCT Centre|Unito has taught cross skills such as communication, cooperation, management of the unexpected, narration and effective self-introduction. 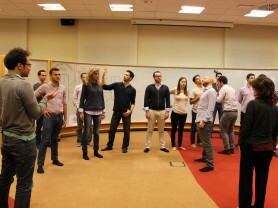 These skills were at the basis of several capacity building and team building courses, among which L’inatteso in scena (The unexpected on stage, 2013), Respiriamo a pieni polmoni (Let’s breathe deeply, 2013) and Acting New (2014), which were held in the frame of specific training projects of UniManagement (www.uni management.eu) and for the Unicredit group, among which there is the Impact project (www.unicreditgroup.eu/Impact). Objectives – The courses, which aim at meeting specific needs changing from time to time, are held by SCT Centre|Unito experts, who work in close collaboration with the UNM team under the supervision of Catterina Seia. 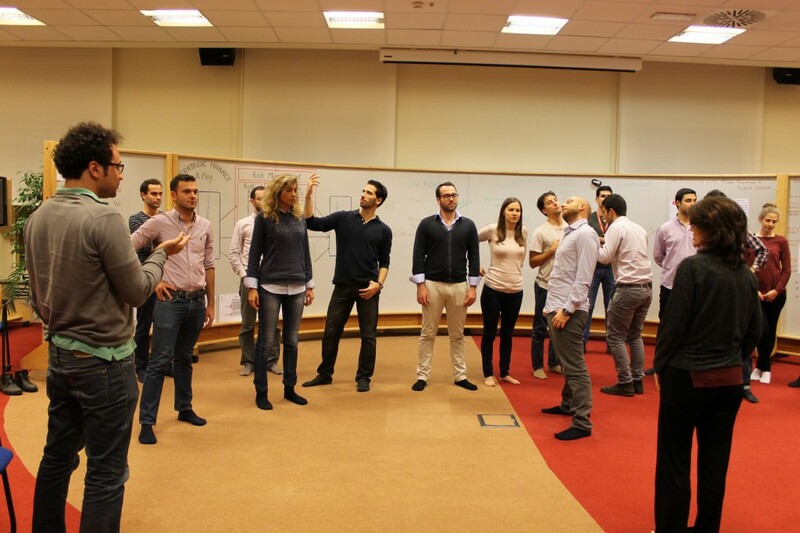 They are developed combining the specific features emerging from the capacity building and team building courses of SCT with the objectives of the cross and multisector training which characterises Unicredit’s international business context. 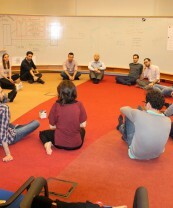 Methodology and format – during an intensive workshop, which can last from five hours to two days, the participants are involved in two different kinds of activities which are typical of theatre training: a) the training course about self-awareness, relationship and communication; b) the creation of scenes and stories. The languages of video and narration are integrated in the SCT methodology both in the preliminary phase and during the training, and so are the possibilities of organisational reading which come from contexts, artistic works and settings of offsite activities. The training phase consists of a series of practices – games, exercises, body training – whose order is defined by the SCT methodology. 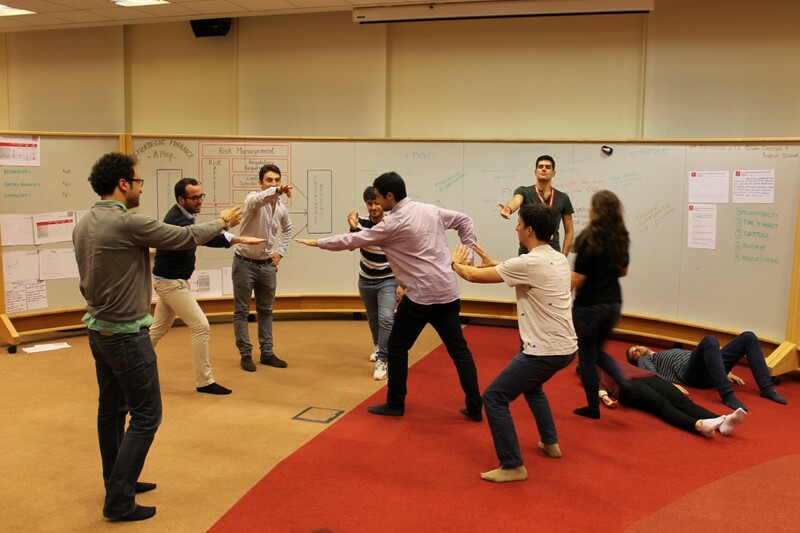 These activities, which are typical of the actor’s training, have been revisited by SCT and are aimed at enhancing individual and group skills such as presence quality, relationship effectiveness, analysis, evaluation and action skills while acting in a context, creativity, problem solving and cooperation, verbal and nonverbal communication, reliability and proactive and responsible participation. In the creation phase, the work related to the staging of situations with characters, the development of stories and the metaphorical use of situations taken from the epic/mythical world are combined with the use of real situations belonging to the experience of the participants, with the aim of exploring the dynamics of role and context, in order to enhance the ability of choice and action. SCT gives particular attention to relationship and art in the perspective of a human pedagogy which is deeply connected to professional training and organisational well-being. Luca Barcellini, Alberto De Biasi, Alessandra Rossi Ghiglione, Catterina Seia. Alessandra Rossi Ghiglione, Alberto Pagliarino.